Stop at Fenix Inn to discover the wonders of Melaka. The hotel offers guests a range of services and amenities designed to provide comfort and convenience. Service-minded staff will welcome and guide you at the Fenix Inn. The hotel offers various recreational opportunities. A welcoming atmosphere and excellent service are what you can expect during your stay at Fenix Inn. Fenix Inn Malacca has 68 rooms with 5 different room types: Standard Room, Superior Room, Family Room, Family Suite & Family Quad Room which are designed to provide an optimal level of comfort with welcoming decor and convenient amenities. All rooms are furnished with full air-conditioning, heated power shower, TV with selected Astro Channels, free WIFI, telephone, complimentary coffee and tea facilities. Baby cot, ironing and laundry service is provided upon request and subject to availability. The property is a short stroll away to the city’s popular attractions like Dataran Pahlwan Megamall, Mahkota Parade, Mahkota Medical Centre, Commercial Hub and several dining and entertainment spots. Melaka Sentral bus terminal is about 5-10 minutes away. 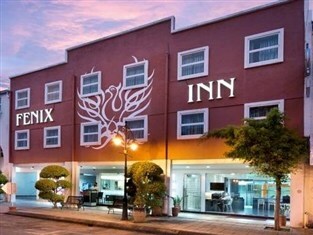 Given its location, Fenix Inn makes a fantastic spot for those visiting the historic town of Melaka. This hotel was recently renovated in 2009. 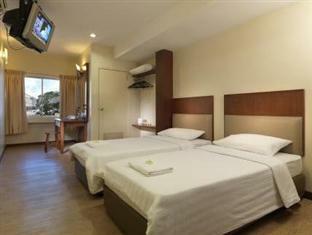 It won the Melaka Tourism Award of “Excellence in Hotel Services for Budget Hotel” in 2011 and 2009. Out of 10, Fenix Inn Malacca was given 7.5 from the average of 1107 reviews. Interested? Get the latest promotion information.